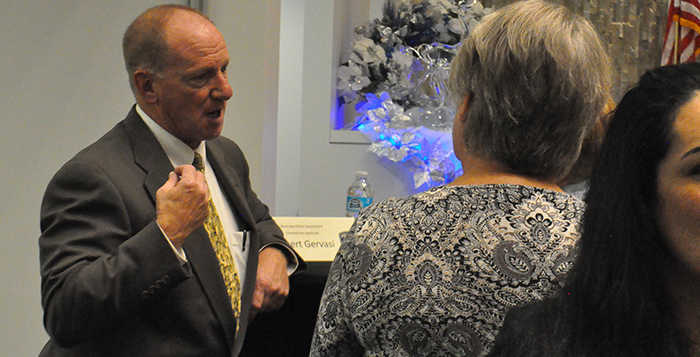 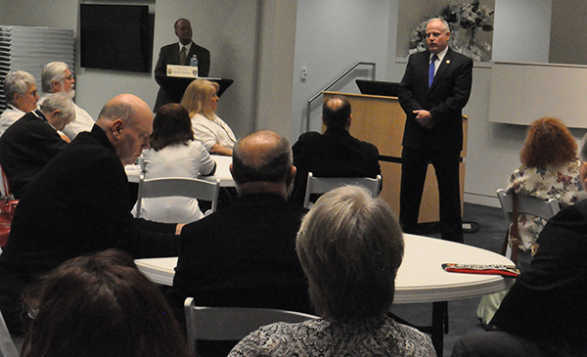 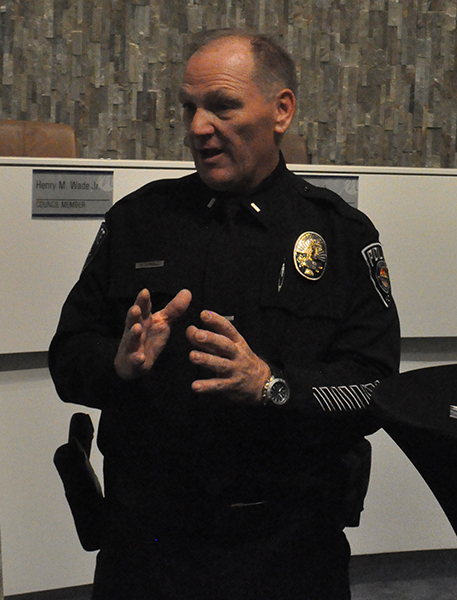 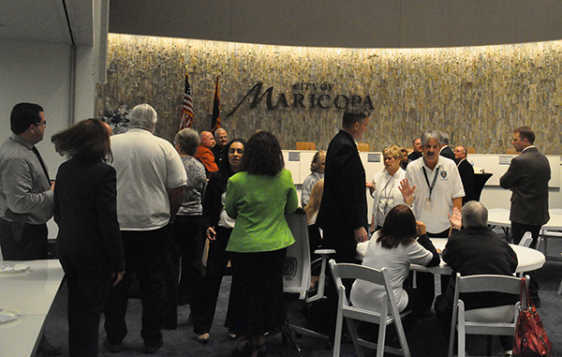 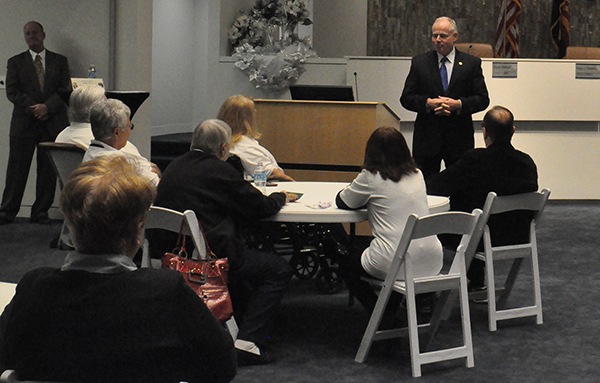 Maricopa residents were invited to meet the three finalists for the position of commander at Maricopa Police Department Dec. 2 at City Hall. The finalists were current MPD Lt. Mike Campbell, Gerald E. Kaphing Jr., formerly of the U.S. Drug Enforcement Administration, and Robert Gervasi, now in Colorado and formerly with Mesa Police Department. 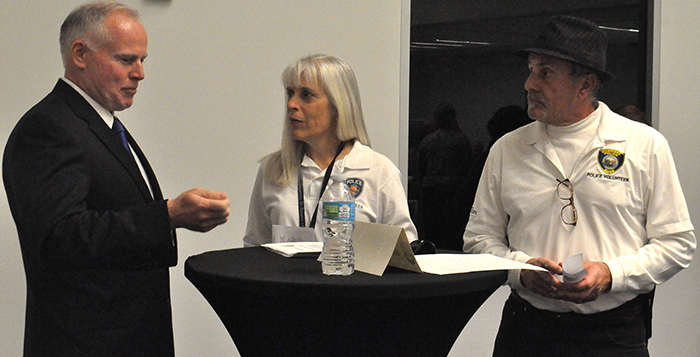 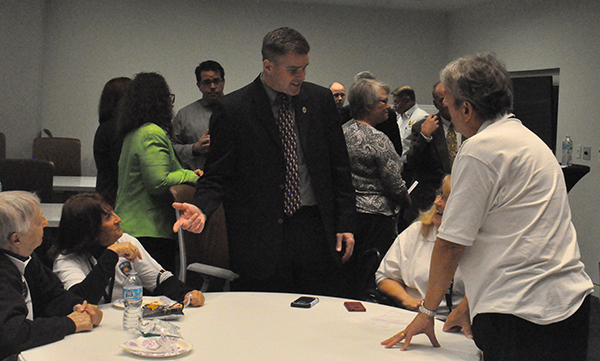 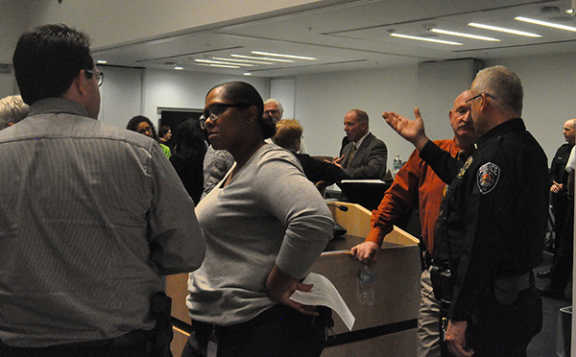 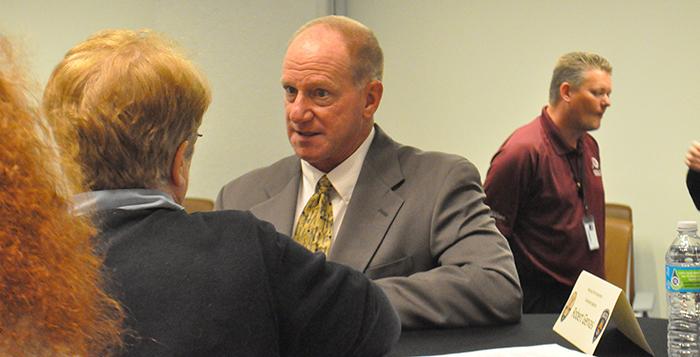 Chief Steve Stahl (right) talks with residents. 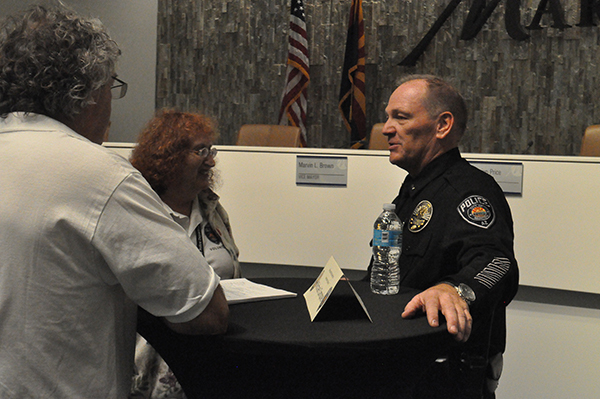 Interested citizens, MPD volunteers and elected officials came out for the meet-and-greet. 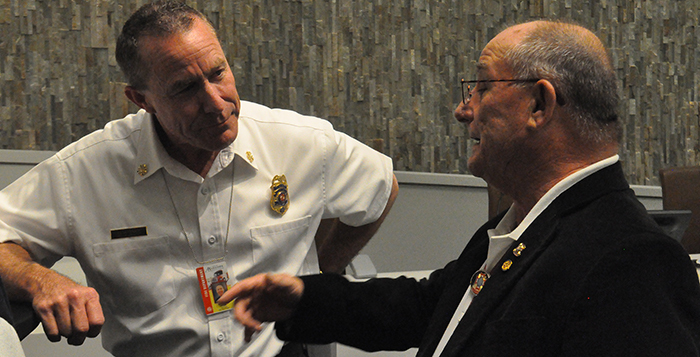 Maricopa Fire Chief Leffler chats with VFW Commander Mike Kemery.